Someone told my wife her favorite cookie shop was Anthony’s in San Francisco. 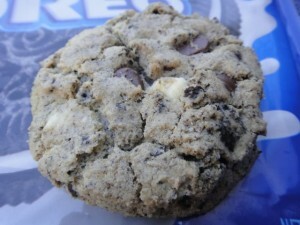 When we looked at their website, they listed Cookies and Cream as one of their cookies. I had come across cookies and cream cookie recipes before but this time I really went looking. 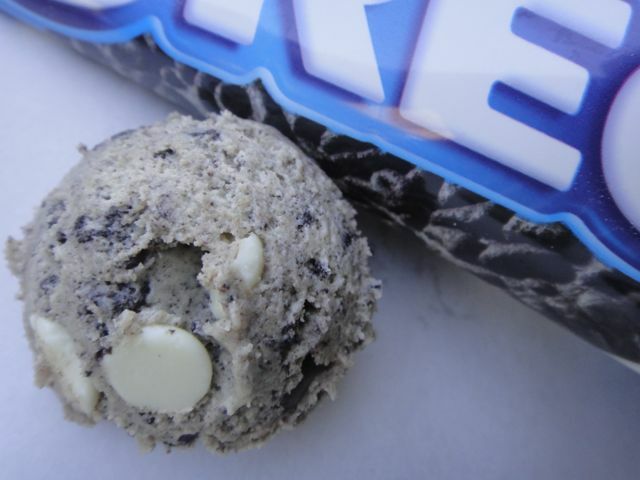 There are many different cookies and cream cookie recipes out there. I had a bit of a hard time trying these because it just doesn’t make any sense, really, to buy lousy cookies, crush them and put them in your home made cookies which you hope will be delicious. I finally decided to give them a try. Here is the recipe I picked to try, adjusted only a bit by me. 2. Combine pudding mix, baking soda, flour and salt. Set aside. 4. Add eggs and vanilla. Mix until completely combined. 5. Add flour mixture and mix until combined. 6. Fold in the Oreos, white and semi-sweet chips. 7. Form dough into 2 tablespoon-sized balls. Place 2 inches apart on parchment-lined baking sheet. Bake about 12 minutes, or until set. They don’t brown very much so if you leave them in until they are brown, they will be over cooked. it was a oreo cookie cheesecake cookie. i liked the crunch.